Today, I wanted to share with you one of my gems for travelling. If there’s one thing that occupies more space than it should, it’s definitely my makeup brushes. The NYX Beauty Staple Makeup Brush Set contains the core brushes needed for a simple, flawless makeup application. Alongside a flat laying bag that converts into a self-standing brush holder. 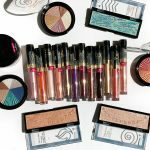 I prefer to travel with all my makeup in my carry-on bag just to avoid any mishaps. Which means the more compact a makeup product or brush is, the better. The NYX Beauty Staple Makeup Brush Set has kept me from convincing myself that I need to bring 20+ makeup brushes along with me. 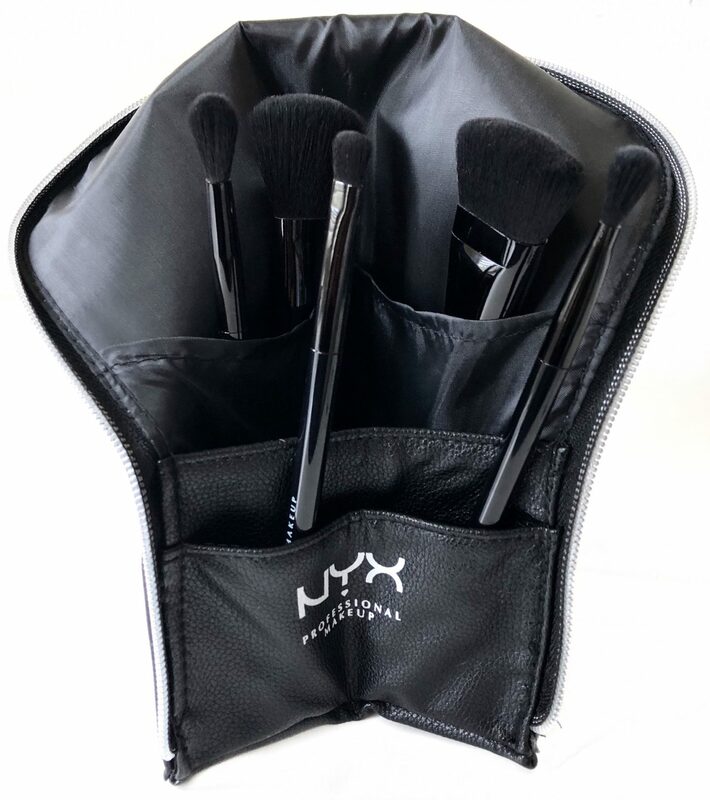 NYX Beauty Staple Makeup Brush Set includes 5 synthetics brushes. 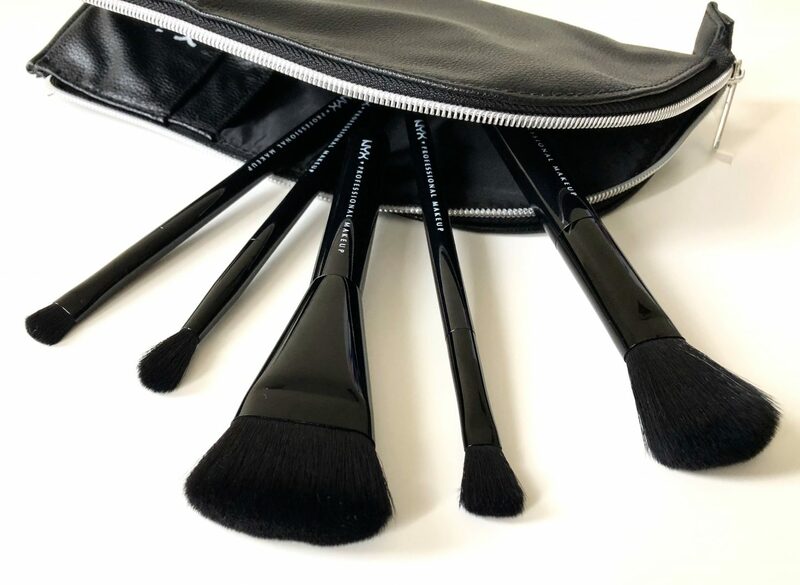 Including brushes that multi-purpose as a foundation, contour, blush, blending and crease brush. The bristles are synthetic with non-slip handles. Providing a sturdy feel to them. Darker haired bristles means I don’t have to worry about the brush head becoming stained. The bristles are dense, helping to pick up the perfect amount of product, each and every time. 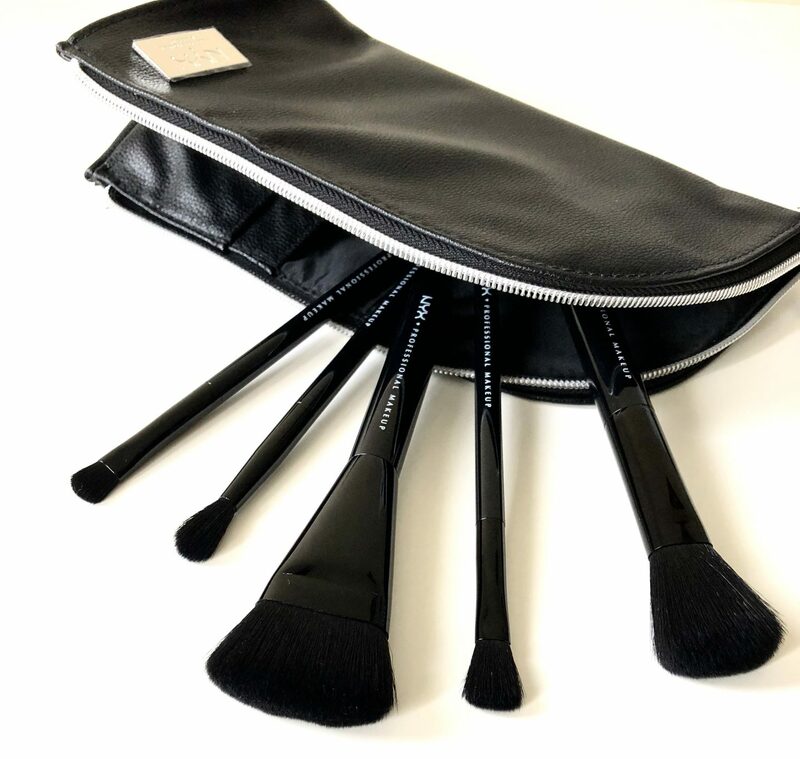 The brush bag has plenty of room to add in your daily staples like a lipstick, balm or mascara. Again, flat enough to even slip in to your purse. 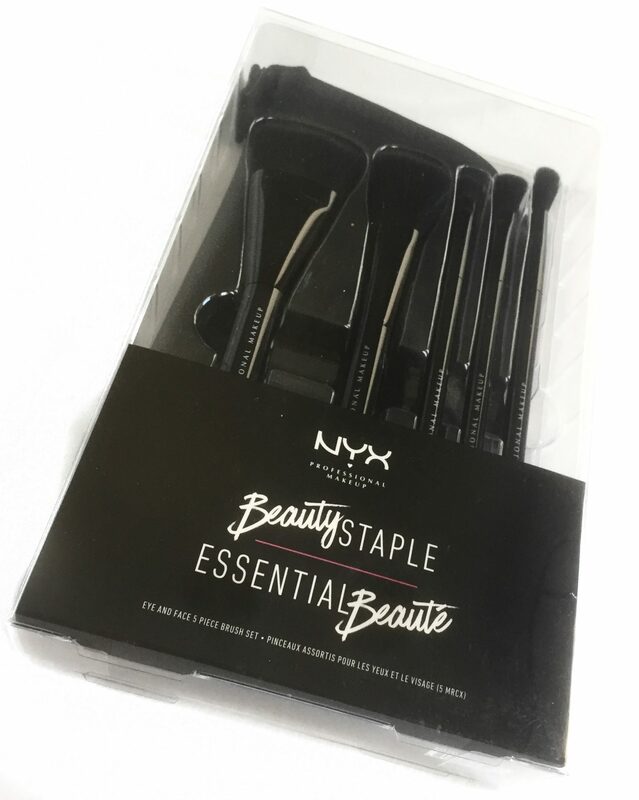 NYX Beauty Staple Makeup Brush Set retails for $80 CAD and is available online nyxcosmetics.ca and in store at NYX. Samples kindly provided. All opinions are my own.